Some physicians are still very skeptical when it comes to the ability of a dentist to provide adequate care for obstructive sleep apnea sufferers. We encourage dentists to do a little actual leg work before offering these services. By that we mean – get out of the dental office and go talk to local sleep doctors. Creating relationships with local practitioners is one of the best ways to get the referrals you’ll need to have a successful sleep practice. It helps if you’ve completed advanced training in sleep dentistry, so you can promote your qualifications. You can also offer to provide referrals to their sleep practices for diagnosis and testing services and other aspects of treatment you don’t plan to provide. 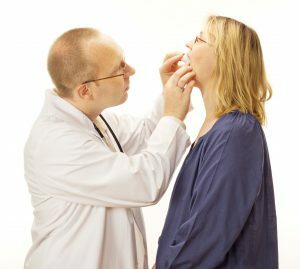 In most cases, dentistry doesn’t involve disease management, gum disease being the one possible exception. Instead, our services typically include treatment that restores health followed by preventive care. Sleep apnea is different. Most people don’t recover from sleep apnea, so they’ll need to be continually treated for this condition throughout the rest of their lives. This is actually a positive thing from a profitability standpoint, but it also has its own challenges, including noncompliance. Additionally, some people don’t find that they achieve effective results using oral appliances, and you’ll need to work with them to find sleep doctor to provide alternative therapies. Whatever the case, it’s important to continually check in with sleep apnea patients to ensure they are achieving and maintaining the desired results whether the goal is to prevent apnea events or stop snoring. At Brady Billing, we can help you with one of the other challenges that impact dental sleep practices – medical insurance claims and billing. Our team of knowledgeable professionals have experience working with dentists to process medical claims forms, contact providers, and deal with all the other time consuming hassles related to billing for dental sleep medicine. If you’re ready to learn more, call our team to get started today. We look forward to helping your sleep dentistry office run smoothly.